A large majority of igneous rocks on Earth are formed by a process known as fractional crystallization (summarized in the diagram below). To understand this process, start by imagining a large liquid magma (melt) body. As we cool the magma, mineral phases become stable and crystals start to form. The newly formed minerals are likely to have a very different density from the magma causing them to float or sink and effectively remove themselves from the original magma body. Diagram summarizing fractional crystallization processes in a magma chamber (see text for summary). Source Wikipedia, Author Woudloper. Once removed, the minerals can no longer react with the magma and so the composition of the remaining (residual) magma changes. As the composition of the magma changes (shown by the changing colours in the diagram above) then a different set of minerals will become stable. The pioneering work on fractional crystallization processes was done by N. L. Bowen in the early 1900’s. Bowen determined that specific minerals form at different temperatures and was able to work out the common mineral assemblage that forms from cooling magma. 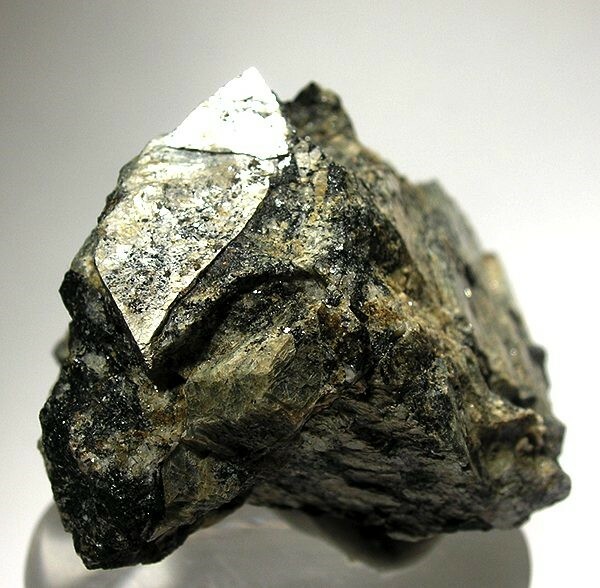 The minerals that make up Bowen’s ‘Reaction Series’, such as olivine, pyroxene, plagioclase, amphibole and quartz, will be known to most geologists. For the vast majority of igneous systems this model works exceptionally well to explain the changing mineral assemblage that form during cooling and depressurization. 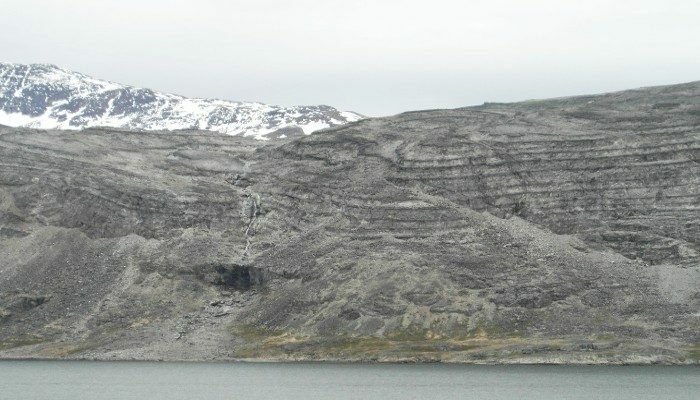 In a few places on Earth, such as the Gardar Rift in south-west Greenland, the unique magma chemistry means that Bowen’s usual rock-forming minerals are no longer stable – and this creates some of the weirdest rocks on the planet! Sodalite, an extremely light (low density) mineral that comes in blue, yellow, green, and pink varieties, and also has a habit of changing color when exposed to sunlight (UV)! Sodalite syenite composed of blue-green sodalite crystals surrounded by large (c. 10 cm) crystals of red eudialyte, black amphibole and white nepheline and feldspar. This rock crystallized in the roof of the Ilímaussaq magma chamber. Photo by Anouk Borst. Naujakasite, a beautiful pearly lozenge-shaped mineral. Naujakasite is found nowhere else in the world, but at Ilímaussaq can make up to 75% of the rock volume! Silver Naujakasite crystal (top left of image) from Kvanefjeld in the Ilímaussaq Complex. Source Wikipedia, Author Robert Lavinsky. Villaumite, sodium fluoride, NaF, a particularly stealthy mineral that is only seen in freshly broken samples due its solubility in water! 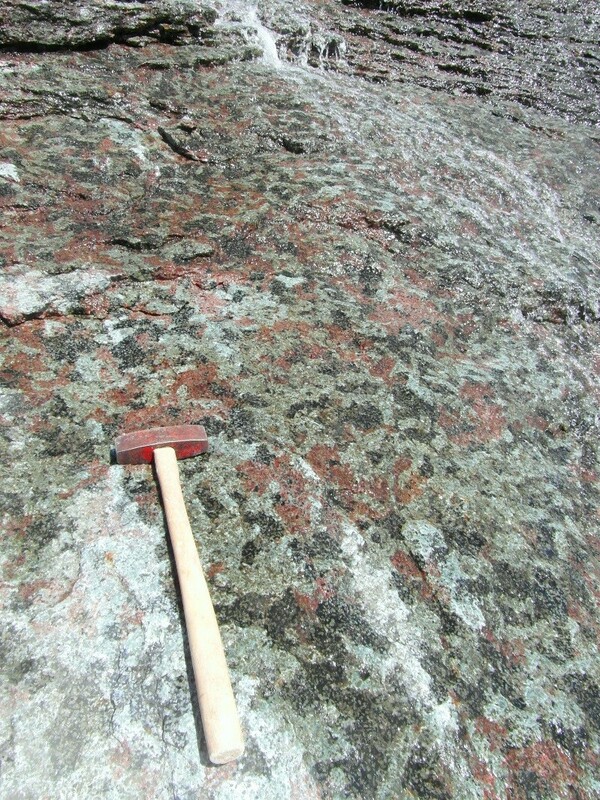 Red Villaumite, NaF, from Kvanefjeld in the Ilímaussaq Complex. Photo by Will Hutchison. Why should we care about these crazy mineral assemblages? Well, first, they tell us about the complete range of minerals that magmas on Earth can generate. 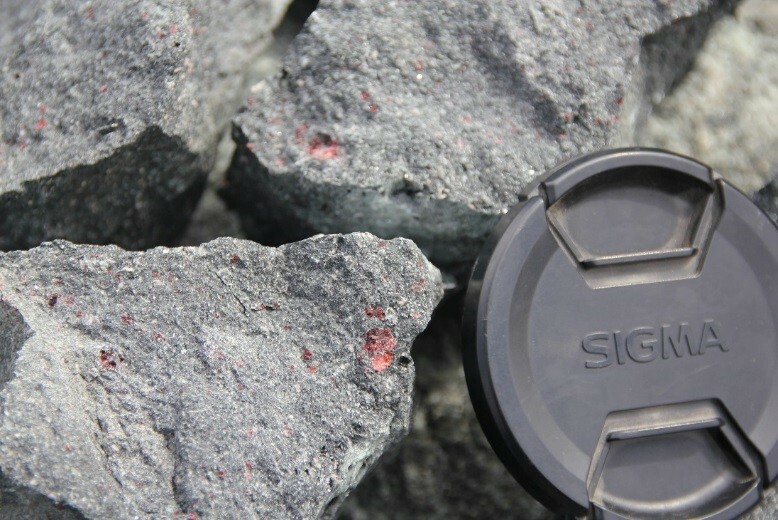 Second, and perhaps more importantly, the minerals that form in the final stages of fractional crystallization (such as steenstrupine and eudialyte) are exceptionally good at soaking up rare earth elements into their crystal structures. The rare earth elements provide vitally important hi-tech materials in our smartphones, hybrid cars and wind turbines, and so these crazy minerals, if concentrated enough, might actually be of major economic importance! Blog written by Will Hutchison and Anouk Borst (University of St Andrews). Inspired by ongoing work of the HiTech AlkCarb Consortium. Welcome to the new GMPV blog! 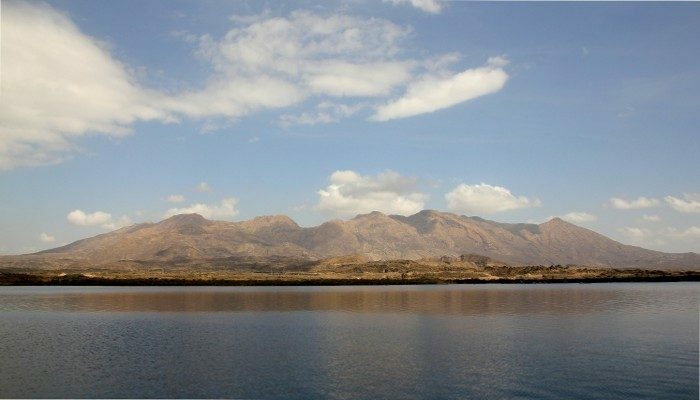 Welcome to the brand-new blog for the EGU Geochemistry, Mineralogy, Petrology & Volcanology (GMPV) Division! The aim of this blog is to provide a unique space for all mineral geeks, volcanophiles and rocking chemists to tell the world about their latest research and exciting new ideas! The GMPV Division covers a huge range of themes including: the nature, composition, structure of the Earth’s mantle; the composition, origin and evolution of the oceanic and continental crust; the formation and crystallization of magmas; the chemical compositions of igneous, metamorphic and sedimentary rocks; element transfer between the surface envelopes of the earth; volcanoes and volcanism. This blog will feature cutting edge research and tales from field campaigns in exciting places. We hope to show off the wonderful world of magmas, rocks and minerals from the micron to the mountain scale! We will update the blog on a monthly basis and want to bring together contributions from all GMPV scientists! In particular, early career (PhD students and postdocs) scientists (or researchers) are strongly encouraged to submit posts on GMPV themed topics or their latest paper. We will also share news, events and activities useful to the GMPV community. The blog is managed by the GMPV Early Career Scientist (ECS) team and the editor of the blog is Will Hutchison. Please do not hesitate to get in contact with Will if you have any ideas, information or posts you would like to put forward! All contributions to the GMPV themes are welcome!